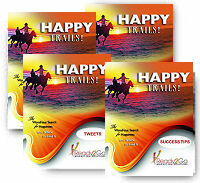 Teleseminar & Self-Study Coaching Program: Happy Trails - The Wondrous Search for Happiness and Where to Find It from Ready2Go Marketing Solutions, Inc.
Everyone wants to be happy, but at the same time we seem to struggle with where to find it, or to even understand what it is. The fact is each of us has the capacity to carry and enjoy a great deal of happiness. The problem is that we haven’t created a space for it to show up in our lives. We must eliminate the clutter that makes us feel anxious, worried and dissatisfied, and intentionally pursue those things that fill our hearts with joy. With the implementation of a few strategies highlighted in this teleseminar – including helpful, optimistic thinking, and healthy, energizing behaviors – it can be more readily found. This teleseminar will help your participants start off on the right path in becoming a happier person, or if a little course correction is all they need to get back on the trail to a happier life. Either way, being happy is a destination that’s closer for them because of this training! Activity Objective: Participants identify images that represent what happiness looks like to them. Activity Objective: Participants label images with traits that make people unhappy. Activity Objective: Participants determine what unhappiness in their own lives needs to be swept away in order to let happiness shine in. 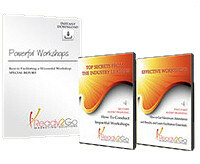 Activity Objective: Participants determine the current level of life satisfaction they feel. Activity Objective: Participants assess which Therapeutic Lifestyle Changes could help to increase their life satisfaction, and consequently, their level of happiness. Activity Objective: Participants watch a short video clip that depicts the idea of making others happy. Activity Objective: Participants identify acts of kindness they are willing to perform to make others happy. Activity Objective: Participants identify future life events and the corresponding happiness those events will bring to their lives.